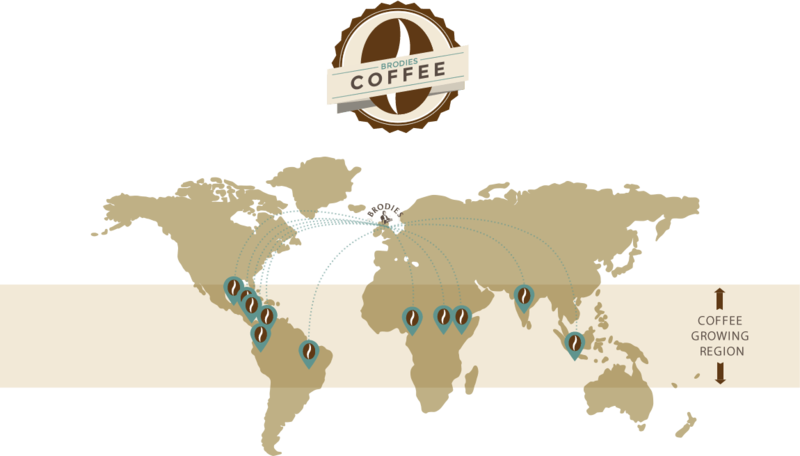 We buy our coffee beans from plantations all around the world, and over many years have developed trusted Fairtrade relationships with farmers and co-operatives. The emergence of single Estate coffees from new origins in Asia, Africa and the Americas mean we are always discovering fresh and exciting flavours. Probat is our manufacturer of choice when it comes to coffee roasters. They have been manufacturing for more than 140 years and Probat roasters are considered to be the Rolls Royce in their class.The technology of their horizontal drum model is unsurpassed in our view. Roasting fine coffee is an art rather than a science as coffee is a natural substance and can vary subtly from crop to crop depending on the climate the beans have been exposed to. 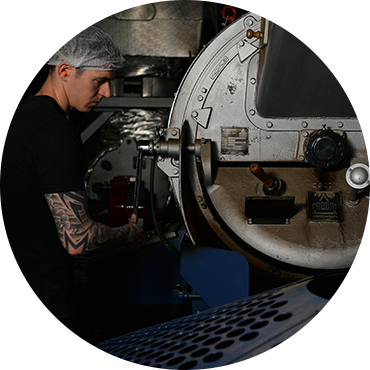 Our highly skilled roasters are passionate about the coffee they produce. They use their senses and experience to ensure the coffee is perfectly roasted and the flavour profile is fully developed, and can tell by eye if the beans need to roast a fraction longer. We roast small batches every day, as freshness is absolutely key to great tasting coffee. We were early adopters of Fairtrade, one of the most widely recognised and trusted certification marks in the UK. It is also the only certification that tackles all the elements that farmers need to make their lives sustainable in the long term – these include being financially stable, protecting the environment and supporting the community. 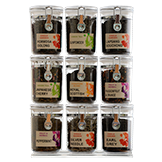 We roast a range of fine Fairtrade coffees from Colombia, Brazil and Honduras.